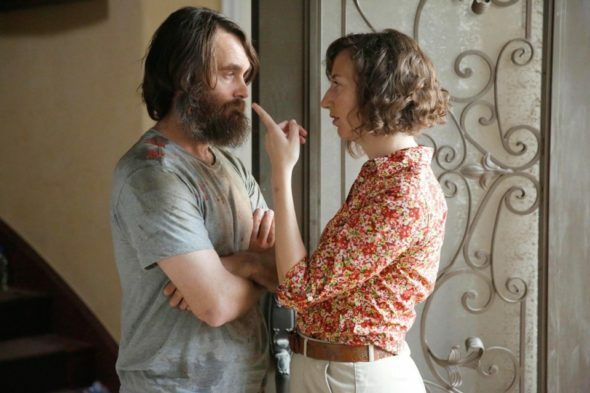 What will happen in season three of The Last Man on Earth? Recently, the castmembers of the FOX series brainstormed some possible season three plans, reports Deadline. The comedy stars Will Forte as Phil, a man who thinks he’s the last person on Earth after a deadly virus has wiped out the planet’s population. However, he soon discovers he’s not alone. The cast also includes Kristen Schaal, January Jones, and Mary Steenburgen. If I may — back in the day, before society became a little more advanced, women would just go in the fields, get on all fours, and just shoot the baby out. They’d take the baby out and be like, ‘It’s done.’ Then King Henry VIII comes along, and he’s intimidated by this. He’s like, ‘No, no! I want to see it!’ So all of a sudden, women are on their backs, pushing out the baby in a very unnatural way, for the men to see it happen. Season three is slated to premiere on FOX this fall. What do you think? Do you watch The Last Man on Earth? What do you want to happen in season three?